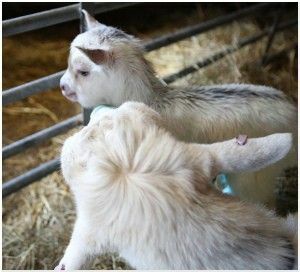 It’s been an exciting couple of days at the farm with the birth of five new kid goats and another one due very soon. This year some of our volunteers had the opportunity to help out post birth. John Langan, the farm stockman said “This annual event is something that never tires with time. It’s a fantastic part of the circle of nature. Come and see them, they’re wonderful”.